During the 2016 presidential race, the renowned linguist and political activist Noam Chomsky famously said the Republican Party is the “most dangerous organization” in human history. He has added to his argument with his latest comments. Chomsky originally said that Donald Trump and his Republican allies are failing to acknowledge and address the principal existential threat to humanity: climate change. Not only is the Republican Party failing to address the threat. They are accelerating the race towards catastrophe in the interest of short-term profits. Chomsky has now elaborated on these concerns in a recent interview with Scientific American. The report predicted the planet will warm by 7 degrees Fahrenheit (4 degrees Celcius) by the end of the century. This will certainly result in human catastrophe. Yet the current administration isn’t planning to do anything about it. While the Republican Party is the most dangerous organization in history, according to Chomksy, its leader Donald Trump deserves special criticism. This is the height of hypocrisy, saying one thing to the public about climate change and taking actions to protect personal wealth that are completely contrary to his public statements. Do we need a full scale revolution or incremental change? Chomsky makes a key point. He says that it’s essential a significant proportion of the general population know that “drastic measures” and “radical changes” are necessary. Where do Americans stand on the issue of climate change? 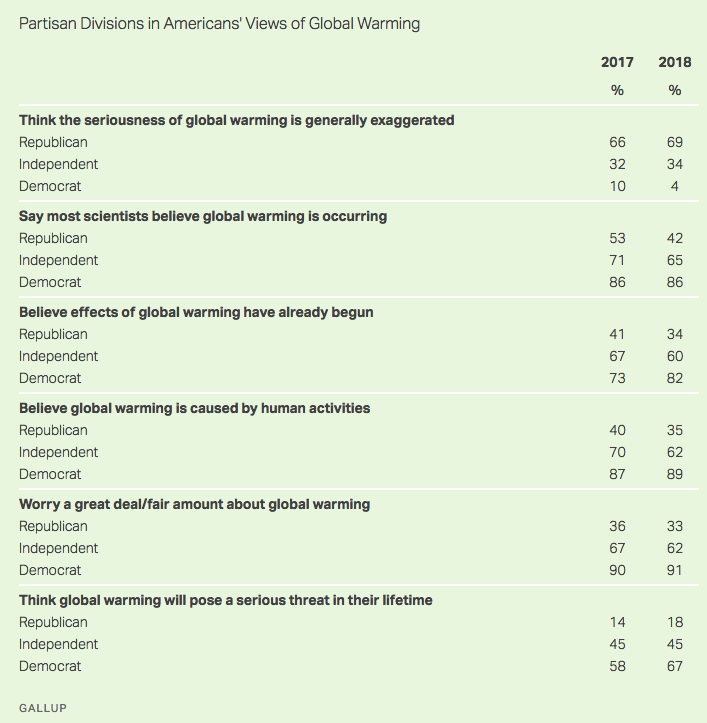 According to a Gallup poll from early 2018, American conservatives are slightly more sceptical and less concerned about climate change issues compared with 2017. The likely reason is increased polarization on the issue, and continued sensationalism in the media. Is there room for scepticism in the political discourse? You’re reading this article on Ideapod. One of our greatest values is creating content that can be as valuable to people across the political spectrum. It’s easy to have a knee-jerk reaction to climate change based on your political affiliations. If you’re a “liberal” or “progressive”, you’ll probably be angry about the Republican Party’s stance. 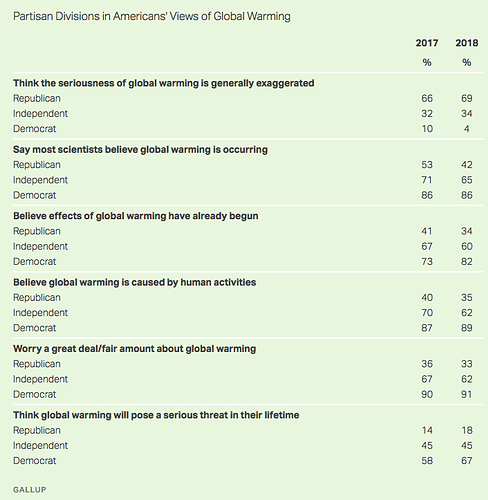 If you’re a “conservative” or “right-wing”, you will probably be sceptical about the scientific consensus around climate change. Yet at some point, we need to arrive at a consensus around the reality that our climate is changing, and it’s highly likely resulting from industrial civilization. Wherever you stand on this issue, it’s essential that we accept the reality that radical change is needed in how society functions and how our economies work. Let me know in the comments some of the ways you think we can create either radical or incremental change. I do not trust any argument premised upon the inadmisability of contradictory evidence. The stakes in this debate appear to be very high and not to be all related to climate change outcomes. Therefore, I remain a sceptic of all discourse on this topic. If " [Noam Chomsky: Trump and his allies are “criminally insane”](https://discuss.ideapod.com/t/noam-chomsky-trump-and-his-allies-are-criminally-insane" is a fact than the left has dropped the ball and not impeaching him.